It's a Super Sunday today with lots of sporting action for all sports fans and enthusiasts. Cricket World Cup T20 Finals Live : For those who love cricket, don't forget to tune in to Star Cricket or ESPN to watch the World Cup T20 Finals of Sri Lanka Vs West Indies Live at 6:45 PM IST or 13:30 GMT. Watch Live online Free at http://www.espnstar.com/live/. Sri Lanka take on West Indies in Colombo with both the teams looking to win the title for the first time. Chris Gayle is a force to reckon with, who helped to annihilate the Australian team in the semi finals. Defending champ Sebastian Vettel leads Red Bull's first front-row lock-out of the year with Mark Webber, Leader Fernando Alonso starts sixth. Fernando Alonso has a 29 point advantage over Sebastian in the driver standings. Defeat for defending champions Real Madrid in the El Clasico at Nou Camp will stretch Barcelona's lead over their bitter rivals to 11 points. Indian fans can watch Live on Star Sports at 11:15 PM. For all the NFL Sunday Night Football (SNF) fans out there, get the entire schedule for all the upcoming matches up until the last week of this year December 23rd at : NFL Sunday Night Football Schedules. You can also watch all the NFL games live online including the Sunday night football on NFL Network with the Game Pass. There are two packages you can choose from to watch the games live online. 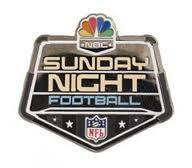 With the Season Plus package you can watch LIVE 2012 Regular Season and Playoff games including Super Bowl XLVII. Plus get 24/7 NFL Network live, NFL RedZone and any 2009-2012 game archive through the entire Offseason. (Access through 31 Jul 2013). Whereas with a season pass you will get to Watch LIVE 2012 Regular Season games, 24/7 NFL Network and NFL RedZone LIVE, and all 2009-2012 games. (Access through 4 Jan 2013). You can also choose monthly or weekly offers to watch individual games, in case you do not want to follow "all" the games. You can also now watch all the NFL games live on your mobile phones/ Tablets with the Android apps. Access NFL Game Pass on your Android and iOS mobile and tablet devices with a free download of the NFL Game Pass mobile app. All you need to do is just download the FREE NFL Game Pass mobile app for your smartphone / Tablet from the App Store or Google Play Store. Watch Live Streams of all the NFL games with Live Stats and Live Scores of NFL Network and NFL RedZone. You can also get the entire NFL network coverage of all Thursday night, Sunday Night and Monday night football games with Verizon Mobiles Wireless with NFL Mobile. The 2012 ICC World Cup T20 is being held at Sri Lanka, which started on the 18th September and will last till 7th October. ESPNStar.com brings you live action from the field. You can watch all the Semi Final matches of the ICC World Cup T20 live online free. Yesterday, India played against South Africa in a do-or-die match for a chance to enter the semi finals. They did manage to beat South Africa and win the match with just one run, which was unfortunately not sufficient to overcome the net run rate that was required to beat Pakistan to enter the semi finals. Earlier in the day, Pakistan had managed to beat Australia with 32 runs to qualify for the semi finals, if India did not meet the criteria, which it did not! So India is out of the World Cup! ESPNstar.com brings you all the cricket matches live streaming online for free. Get the latest overview, statistics, fixtures and Video on demand at the link provided above. Don't miss all the action that's going to happen. J K Rowling's latest book "The Casual Vacancy" has swept the charts again to become the fastest selling hardback novel since 2009. After her successful "Harry Potter" series that was written for children, she has now attempted an "adult" fiction. The book is now out for sales and people are giving mixed reviews, although the book is fast selling out of the shelves, even though it's just the first week since the release of her first fiction novel in the adult category. In the story, the girl "Sukhvinder Jawanda" is dyslexic student who is being bullied by this character called Fats and starts having suicidal thoughts. The Casual Vacancy has hit a raw cord with the Sikh Community in India as the story revolves around a sikh girl "Sukhvinder Jawanda" who is a rowing champion but has been described as "the Great Hermaphrodite" by a classmate ironically named Fats. The Shiromani Gurudwara Prabandhak Committee (SGPC) has sought removal of all "objectionable" text in the book along with an apology from the author, J K Rowling. The Chief of the SGPC described Rowling's words in the book as " a slur on the Sikh Community and Provocative" by calling into question the gender of the girl. This book has already achieved the status of being the number one best selling hardback fiction book of the year since Dan Brown's 'The Lost Symbol', which sold more than 550,000 in its first week of sale in 2009. If you are a die-hard fan of J.K Rowling and would like to buy the book to add to your collection, you can BUY the book in hardcover from the amazon stores at a reasonable price of just $20 and it will be shipped to you in 24 hrs.